In this short but enjoyable book, you get to learn the intricacies of the green-eyed monster. You know the one - where you find yourself turning into bile and feeling enraged and confused while feeling stinging bits of your body prickling at you to let it out. Ah, now you know when it happened, that incident flying by in your mind. Yes, you just hit the spot. In this book, we are going to go into detail about jealousy. If you're looking at this book, you have already taken a step into the right direction. You realize that there might be a problem. Trust me, everyone can use the knowledge from this book. I sorted out the most frequent causes of jealousy and solutions for them. If you know what lies at the heart of your jealous feelings, you can more easily look at what you can do about them. Are you trapped in a vicious cycle of broken relationships? Do you want to be able to free yourself from the negativity that is seemingly holding you back? I bet you do. It is never easy having to live with negative emotions, and jealousy is one of those feelings that can only eat away at your peace of mind if you let it. 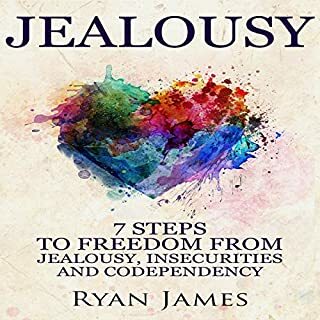 There must have been a time when you considered jealousy to be something minor, but the truth is that letting the green-eyed monster run free would take a serious toll on your life and the quality of your relationships. So now that you know what the culprit is, how can you begin to win the battle against it? With all this knowledge in your arsenal, you can surely start living your best life. useful. covers a wide range of topics. There should be something in here for everyone. Speaker was a bit too fast. every chapter seemed the same, jealousy isn't easy to change, I was looking for more relative ideas. I had a lot of jealousy issues since my husband left me for a younger woman. Dating was traumatic and I hated it. I felt that I couldn't trust anyone after what my ex did to me. 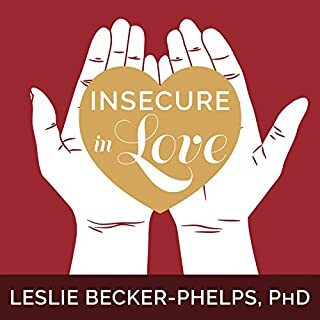 This book really helped me see how stupid my thoughts and inner feelings were and that other women weren't the problem. The problem was my own critical self talk . Thank you Sofia, this book really helped me. This book was amazing, well written. It has scenarios matching those you would face in real life. 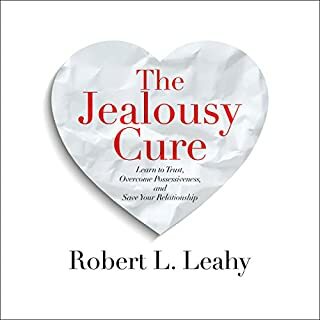 Also well rounded as it covers jealousy in all aspects: work, life , revlationship........ SOOOOO happy I listened this book and I will be putting what I learnt into play to make my life a better one. If I would have read this book when I first realized I had trust issues this book would have saved me from failing. 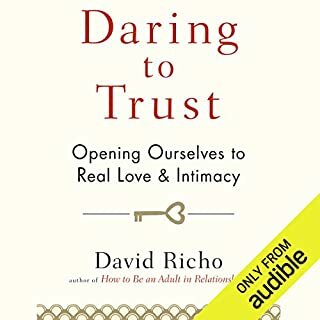 This book came to my attention after I hit rock bottom and self-sabotaged a relationship with a person that I truly and deeply loved. 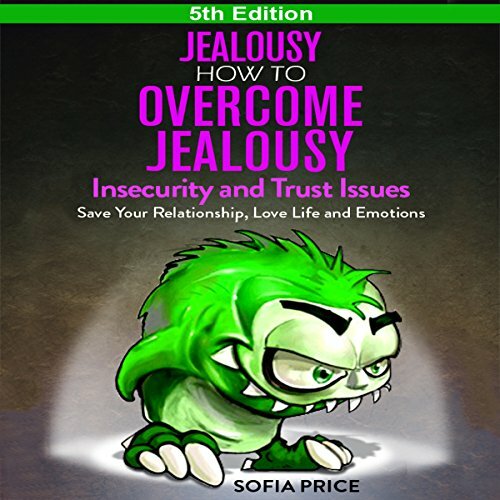 The key to success for this book is realize your insecurities WHILE your still in the relationship. If you even think you have Jealousy or trust issues while your still in relationship that hanging on by threads BUY this book NOW and say nothing to your partner until after you have read it all. 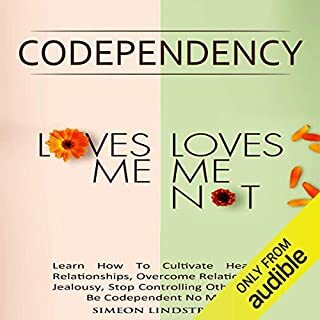 As the author states.. "save your relationship" but if you already wrecked it,,, then save your money on this book and see a therapist and deal with your issues (as the also author states) . Most of the information is very useful. It might have been better received if the advice wasn't so directive in its presentation. It also seems to address only a certain individualistic segment of the population, though very helpful, it wouldn't work well with collectivist communities. Overall, good information. Well the book maybe great but I can't get past the screechiness as the voice of the person reading a book to me. So I never was able to listen to it. Sorry. After many years of blissful marriage the green monster raised its ugly head after being hidden most of my adult life. Being post menopausal and having some childhood issues I have never completely dealt with I began sinking in to a very bad place with little to no reason to. I love how my eyes have been opened and I may even get other help for my long time issues. I will be listening again and recommend it to anyone struggling as I have been as of late with horribly negative and destructive feelings of jealously. Thanks to the author for such incredible insight! Simply the best book of its type I have read or listened too. It explains the emotion in a way that makes complete sense and really does help to make you understand the damage that it does cause. I cannot recommend this book enough to someone that has experienced an affair by their partner. it will help you through this terrible time. The book was okay. There's many times where she repeats the same thing over and over. Some things make sense and are quite helpful. However, the book is titled 'How to overcome jealousy' yet she doesn't give you exercises on 'how to' and she just says how bad it is to be jealous. Yes, we know that, but how do you overcome it?